this little saying was found on the internet where you put this on top of an Altoids mint container. I thought it was so cute for the upcoming season. 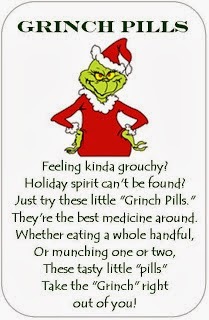 I do not recall where I got it from but I am thinking if you google Grinch pills it may surface. I am trying to get totally prepared early this season. can you tell?